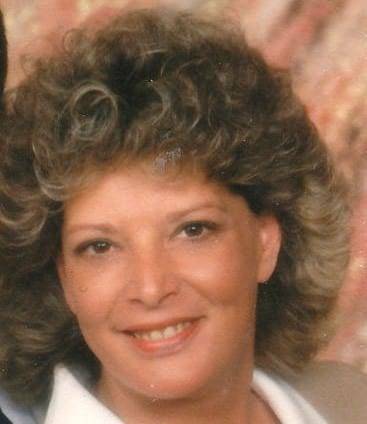 Sherri Elaine (Kuhn) Bishop, age 68, of Stryker, Ohio, passed away on Nov. 23, 2018, at CHP Defiance Area Inpatient Hospice Center in Defiance, Ohio. She was born on Feb. 4, 1950, in Morenci, Michigan. She was the daughter of the late Robert and Marilyn (Dierks) Kuhn. Baptism and confirmation took place at St. Paul’s Lutheran Church in Defiance, Ohio. Sherri graduated from Ayersville High School in 1968. During her senior year, she was chosen as a member of The Ohio State youth choir, which performed at the state fair. Later, after graduation, the choir traveled to 15 European countries to perform in many magnificent venues. In 1969 she married Dan Vermillion in Defiance, Ohio. Two children were born during this marriage, Tondra and Shawn. Sherri worked several years for Barnes restaurant during high school. She was employed with the State Bank for 10 years in Defiance, Ohio. She was subsequently employed at Ferro Plastics in Stryker, Ohio, for 18 years. On May 25, 1994, she married Rick Bishop in Napoleon, Ohio. After retirement she spent time with her dogs, Lilly and Gracie. Abbey will be accompanying Sherri to her resting place. She enjoyed spending time with her three grandchildren and seven great-grandchildren. She also loved spending her summers at the family cottage. Sherri is survived by her husband of 24 years, Rick Bishop of Stryker, Ohio; and daughters, Tondra (Robert) Poston of Defiance, Ohio, Erica (Anthony) Godsey of Archbold, Ohio; also a sister, Karen (Don) McAfee of Archbold, Ohio. She was preceded in death by her parents, maternal/paternal grandparents, and her son, Shawn Vermillion. Visitation and services were at the Lawson Roessner Funeral Home, Defiance, on Tuesday, Nov. 27, 2018. Burial was in Riverside Cemetery. Suggested memorials are to be to CHP Defiance Area Inpatient Hospice Center. Condolences may be shared at www.lawsonroessner.com. Be the first to comment on "Sherri Bishop (1950-2018)"